1 Blemished Available: $475.99 This item is available as a Blem/Refurb. These are items that cannot be sold as "New" merchandise and are limited to stock on hand. See the product details for a description of the product's condition. 1 Blemished Available: $542.99 This item is available as a Blem/Refurb. These are items that cannot be sold as "New" merchandise and are limited to stock on hand. See the product details for a description of the product's condition. 1 Blemished Available: $543.59 This item is available as a Blem/Refurb. These are items that cannot be sold as "New" merchandise and are limited to stock on hand. See the product details for a description of the product's condition. What's in a name? 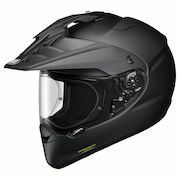 Call it the Shoei Hornet X2 Adventure Helmet, the Shoei Hornet ADV Helmet, or just the Shoei Hornet Adventure - a rose by any other name would be as equally prepared for the street or trail. Adventure riding essentially knows no bounds. The Shoei Hornet X2 Helmet offers serious dual-sport enthusiasts the optimal balance between on- and off-road form and function. Designed to maintain peak performance without compromising the core values of long distance touring, the Hornet X2 is a true all-road, all-weather helmet. 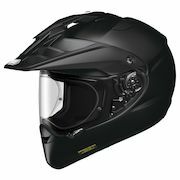 The Shoei Hornet X2 Adventure was created to replace the Shoei Hornet DS and to be a hybrid of a premium road and off-road helmet. The shape of the mouthpiece and chin bar area is designed to improve air intake and ventilation performance, while giving the rider additional air space needed to accommodate heavy breathing during off-road riding. Improving on the traditional off-road mouthpiece, the Hornet ADV provides additional protection in the event of adverse weather. A multi-stage lower vent shutter allows riders to fine tune airflow for most riding conditions. 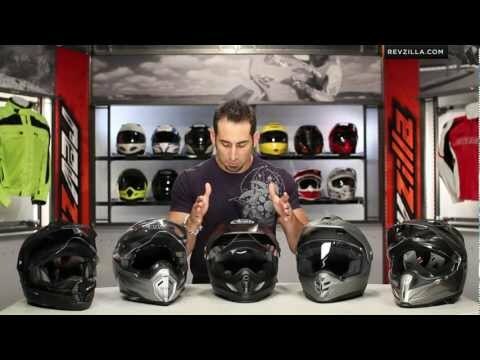 Note: Due to manufacturer restrictions, Shoei products can only be shipped to addresses within the United States. Goggles sold separately.